There’s nothing worse than nasty shower grout, which is one reason we used Permacolor Select grout in this shower. Plus, we needed two different colors. One for the shower niche and one for the stacked subway tile. This type of project often requires spending extra money on grout – which stinks. 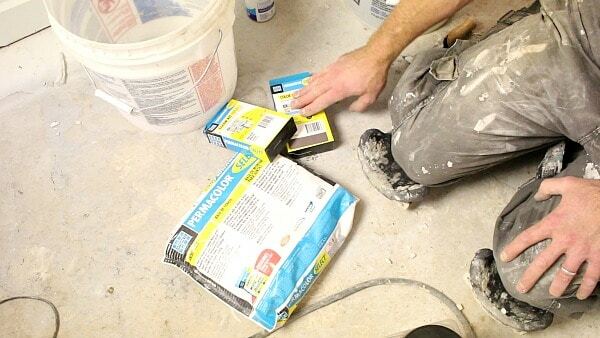 We used Permacolor Select because the grout base can be used with two different color packets. For example, we got two 12.5 lb bags of grout and two color packets, one brown and one white. If you’re using two different colors of grout or simply want to mix two different batches – one for the floor and one for the shower – this grout is awesome. Grout can be a pain. It can either enhance or ruin a tiled shower wall. In addition, grout can discolor or stain over time. Newer options like Permacolor Select or Spectralock epoxy grout solve these problems. And are very user friendly. Laticrete’s color packets are less than $10 each, which makes it cost effective to use Permacolor Select in bathrooms with two different colored grouts. Also, the fact that it doesn’t need a sealer is another cost advantage over other grouts. Since Kevlar stops bullets it’s perfect for grout and prevents cracking. All homes expand and contract, so it’s nice to know this grout is super strong. Finally, a big challenge with bathroom remodeling is time. 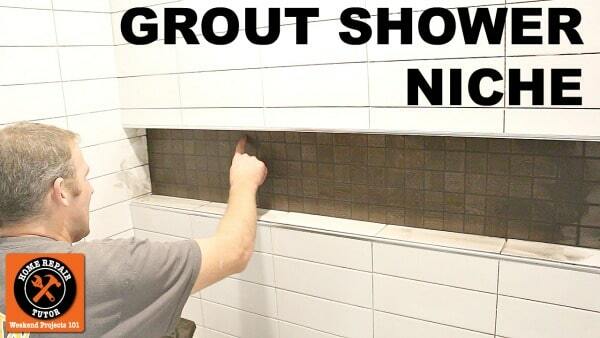 Nobody wants to wait a day for grout to cure. Permacolor Select sets up in 25-30 minutes and can be ready for foot traffic in 3 hours. 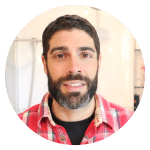 Our previous video shared tips on how to used stacked subway tile in a shower. And if you’re wondering how to waterproof shower walls, a great option is Hydro Ban Board. We’ll keep you posted on the course.